SWEDISH HOUSE MAFIA have announced that they will throw a Black Tie Rave on February 28th at Hammerstein Ballroom to benefit Hurricane Sandy relief (sponsored by Absolut Vodka). General Admission tickets to the event will be auctioned at http://www.ticketmaster.com starting on Dec. 14th at 10am ES through Dec. 16th at 10pm EST. A second round of auctioned tickets will begin on February 1st, 2013. Starting bid is $100.00 per ticket and fans can purchase a minimum of 2 tickets and maximum of 4 tickets. Swedish House Mafia will donate 100% of the net proceeds from the Black Tie Rave to the Mayor’s Fund to Advance New York City and the Hurricane Sandy New Jersey Relief Fund in support of hurricane relief efforts. The Mayor’s Fund retains no administrative fee, and one hundred percent of donations are being dispersed to relief efforts organizations. Funds will support immediate aid needs – including food, cleaning materials and hygiene supplies – as well as long-term relief and restoration. New Jersey Governor Chris Christie and First Lady Mary Pat Christie launched the Hurricane Sandy New Jersey Relief Fund four days after Hurricane Sandy devastated the Garden State, to help communities recover, rebuild and come back stronger than before. “New York City has been a massive part of our journey and there was no better way to say thank you than to help out along with so many other worthwhile events. We had the night off in NYC before our Madison Square Garden gig…and what better way to spend it!” said Swedish House Mafia. Let’s recap… you get an unforgettable night of music with the legendary Swedish House Mafia at the stunning Hammerstein Ballroom AND 100% of the cost of your ticket will go to aid victims of Hurricane Sandy! This is beyond a win/win! 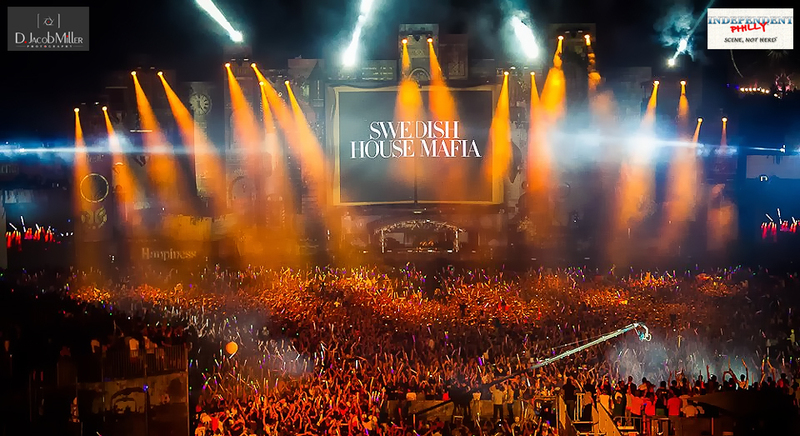 We had the chance to catch SHM earlier this summer at Tomorrowland Festival and will be there to see them when they close out their “One Last Tour” at Ultra Music Festival in March 2013 but this show at a much smaller intimate venue will be truly unique. We hope you’ll dig deep into your pockets this holiday season…a little bit of charity could land you tickets that would make the ultimate holiday gift for yourself or that special SHM fan in your life. We will see you there on February 28th!